An original 5200 homebrew game! Can YOU locate the chalice and return it to the Seashore Castle? 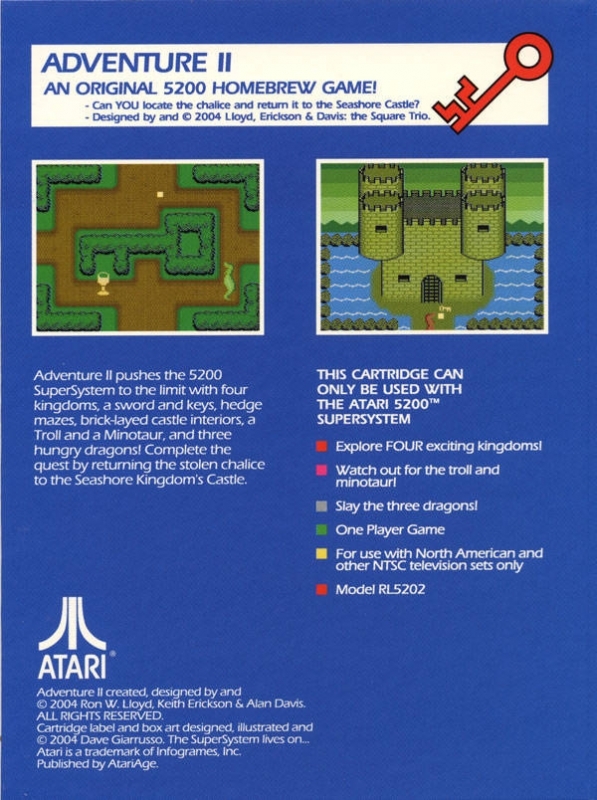 Adventure II pushes the 5200 SuperSystem to the limit with four kingdoms, a sword and keys, hedge mazes, brick-layed castle interiors, a Troll and a Minotaur, and three hungray dragons! Complete the quest by returning the stolen chalice to the Seashore Kingdom's Castle. Watch out for the troll and the minotaur!